On 16 August, at a conference on transportation in Northwest Russia, Russian president Vladimir Putin demanded that Belarus stop exporting its oil products through Latvian and Lithuanian ports. Instead, Moscow wants Belarus to reroute through Russia’s Baltic ports. This way, Putin intends to put even more pressure on the Baltic states. 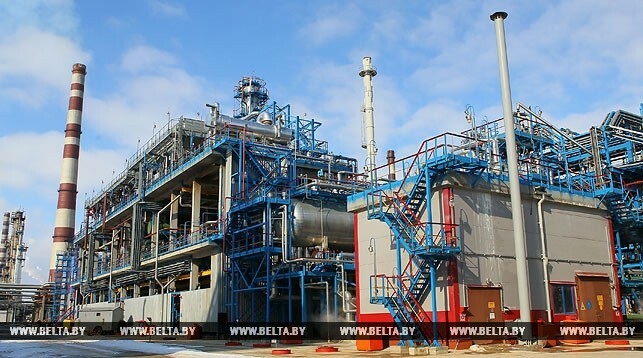 The next day, the Belarusian state–affiliated news agency BelTA published an interview with the acting director general of Belarusian Oil Company, Siarhei Hryb. The article made clear that Minsk wishes to continue its cooperation with the Baltic states. It seems that Russia and Belarus are heading towards another oil dispute just months after ending the previous one. 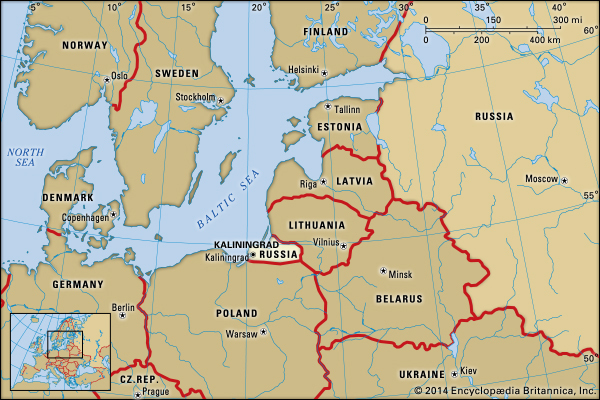 Minsk refuses to blindly follow the Kremlin’s policy of strangling the Baltic states, if only for pragmatic reasons. To survive as a sovereign state, Belarus needs good relations with all its neighbours, not just Russia. Last year, Belarus exported 13m tons of oil products – a significant number for such a small country. In comparison, Russia exported 156m tons in 2016. Traditionally, Minsk has exported its oil products through Lithuanian and Latvian ports due to their geographic proximity. Notably, Belarusian cargo, mostly oil and potash products, made up 36 percent of the total volume of shipments of Lithuanian railways last year. In contrast, Russia has decided to put a complete halt to export of its oil products through the Baltic states by 2018, opting to use its own ports on the Black and Baltic seas instead. The director of Russian Railways, Oleg Belozerov, told Putin at a conference on 16 August that Belarusian firms are refusing to use Russian railways and ports to export goods. Belarus has made this decision despite Russian Railway’s offer to double the standing discount for transporting Belarusian oil products to Russian Baltic Sea ports to 50 percent. 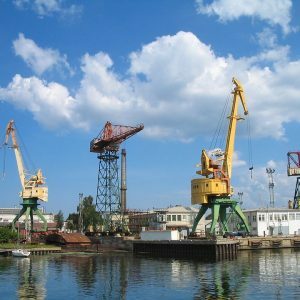 According to Belozerov, Belarusians cite their long term contracts with Baltic state ports. The conference also dealt with a related issue which demonstrates that Moscow is making no distinction between friend and foe in its renewed effort to strangle the region. Russian officials discussed establishing transport routes between Russia’s Kaliningrad Province and the rest of Russia and circumvent foreign states. Moscow aims to develop a direct communication line which would link its exclave to Russia proper and stop transiting through both Lithuania and Belarus. Moscow has so far failed to pressure Belarus into using Russian ports instead of Lithuanian or Latvian ones. Now, both the Belarusian government and the business sector intend to resist Putin’s demands, even at the risk of a new oil dispute. Even in March, when Russian Railways offered Minsk a 50 percent discount on oil products shipments, Belarusian Transport minister Anatol Sivak outrightly dismissed the offer. Commenting on Putin’s recent initiative, Hryb told BelTA on 17 August that even the high discount offered by Russia would not make much difference. It is still cheaper to send Belarusian oil products through the Baltic states. In addition, the Russian Baltic sea ports have had problems processing oil products and ensuring they remain undamaged by the elements in winter. Hryb maintains that his company offers customers the option of transporting oil products through Russian ports. However, the customers choose ports in the Baltic states. TUT.by, the largest Belarusian news portal, quoted an anonymous oil trader who brought up the fact that it is not only the transportation tariff that matters, other factors are important too: how much time it takes to transport cargo, which port infrastructure is available, which services are offered, and so forth. The Baltic state ports win out over their Russian competitors in all these regards. According to calculations by the IPM Research Centre, if in 2018 Russia supplies 23m tons of oil (the standard volume in earlier years when bilateral relations were good), then the Belarusian GDP would grow by 2.7 percent. If the strained situation of 2016 or 2017 is repeated and Moscow cuts supplies (which would then make up just 18m tons) the Belarusian GDP would increase by just 0.5 percent. TASS news agency quoted several experts as saying that for Belarus, switching to Russian ports would cost up to $150m in financial terms. However, this sum is insignificant in perspective: after all, Minsk currently earns about $1.4bn on cheap oil it gets from Moscow. To counter the Kremlin’s repeated oil threats, Minsk is looking for alternative sources of oil by making new attempts to import Azerbaijani and Iranian oil. Out of the 18.6m tons of oil imported by Belarus in 2016, 0.5m tons were imported not from Russia, but most probably from Azerbaijan. 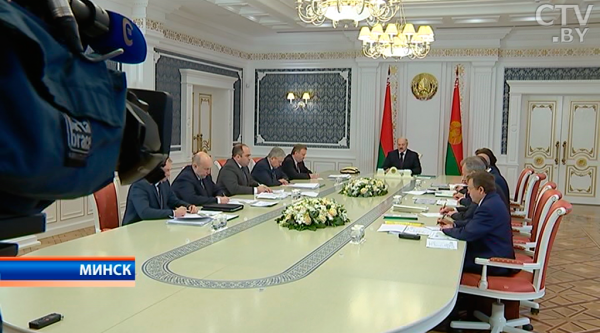 On the other hand, Minsk is working on a strategic long-term modernisation of the Belarusian petrochemical industry. In March, Alyaksandr Dzyamidau, the newly appointed director of Naftan, a Navapolatsk–based refinery, explained to the media that Lukashenka had asked him to accelerate the modernisation of Naftan. The aim, according to Dzyamidau, is to make Belarusian refineries capable of processing oil of any brand and from various countries. The government is investing huge amounts of money to modernise the two oil refineries, and the process should be complete by 2019. However, in 2011-2015 alone, investments in Naftan development exceeded $1.2bn, and the refinery continues to receive millions to the present day. Another refinery in Mazyr has received $1.47bn for ongoing modernisation. The Kremlin’s impossible political demands of Belarus threaten to drive it into a corner. Moscow could even endanger the alliance between Minsk and Moscow. However important Russia is for Belarus, Minsk cannot radically reduce its relations with its other neighbours, even if the Kremlin insists. For Belarus, cutting links to the Baltics would mean significant financial losses and deterioration of political relations with the EU, as well as a return to political isolation. This would also lead to a fatal dependence on Russia and its oligarchic capital, reducing Belarusian statehood to a nominal status like that of Abkhazia or South Ossetia. There is no reasons to believe such a situation would be acceptable for the current Belarusian leadership. Last month, Belarusian IT businessman Victor Prokopenya published a post on Facebook informing the public about a new decree on High Tech Park. This led to fervent discussion in the Belarusian media, with a number of articles devoted to the topic. After meeting with HTP head Usievalad Jancheuski and Prokopenya, Belarusian president Alexander Lukashenka repeatedly mentioned that fundamental measures would be taken to develop the IT industry. ‘We have set an ambitious goal – to turn Belarus into an IT-country,’ said Lukashenka at the plenary session of the 4th Belarus-Russia Forum. The new IT decree, drafted by a group of representatives from HTP, state bodies, specialists from leading IT companies, and legal and financial experts, aims to address the problems of the Belarusian IT sector. From cryptocurrencies and investment funds to English law and immigration policies, the decree is groundbreaking in the number and types of reforms it sets out. Optimists believe that this sensational decree could turn totalitarian Belarus into an ‘IT Hong-Kong for the Slavic world’. Others remain critical of the fact that the government has neither published the decree nor opened it up for public discussion, suggesting that certain points may be controversial. Thus, whether the decree will benefit the whole country’s economy or merely widen the already existing gap between privileged IT companies and other sectors remains unclear. Most importantly, the decree prolongs already existing tax benefits for IT businesses, which will help sustain the growth of Belarus’s most successful industry. The document also makes numerous large and small amendments which remove limitations on the sector’s further growth. With the new decree, HTP will open its doors to large IT product companies, export-oriented ITES (IT enabled services), and companies working in other hi-tech spheres (such as medicine, biotechnologies, and electronics). Not only will this create thousands of well-paid jobs for Belarusians, it will also broaden the type of activities High Tech Park engages in. Moreover, the decree welcomes investment funds, including venture capital, which is crucial for the sphere’s growth. In March, the head of Flint Capital announced the readiness of international investment funds to come to Belarus once the necessary legislative conditions are created. Thus, if the government implements the legislative changes – such as cancellation of subsidiary liability for HTP residents in case of bankruptcy – more investment funds and venture organisations will enter HTP. What’s more, the decree simplifies the business process, allowing IT companies to implement various business models, such as earnings on advertising, marketing activities, games with internal currencies, etc. For example, it would be possible for Google or Facebook, which make money off advertisement, to become HTP residents. At the same time, investment funds and lifted restrictions regarding earnings will encourage Belarusian companies and startups to remain in the country, as they will be able to find finances and opportunities for development in Belarus. The decree stipulates the application of English law, which would stimulate shareholder agreements, investment partnerships, and non-competition agreements with employees. This measure would boost investment activity and also structure transactions for Belarusian IT business sale. Furthermore, in order to reduce the risks associated with the unstable Belarusian economic situation, the decree would abolish control of the movement of capital. It would also eliminate a significant amount of paperwork that companies engaging in foreign trade have to deal with. Experts consider these steps crucial for making Belarus appealing to large foreign enterprises, as they do away with some of the most frustrating bureaucratic procedures with which enterprises must contend. The decree will uproot old Soviet-style legislation, involving complex document circulation, which prevents Belarus from adopting business practices preferred in much of the rest of the developed world. Key IT players lack the incentive to enter the Belarusian market as long as these time-consuming practices continue to exist. Thus, simplification of legislation is a wise move if Belarus wants to attract big names in the tech sphere. On 17 July, the National Bank of Belarus announced the introduction of blockchain technologies for solving a wide range of problems in the banking sector and outside it. 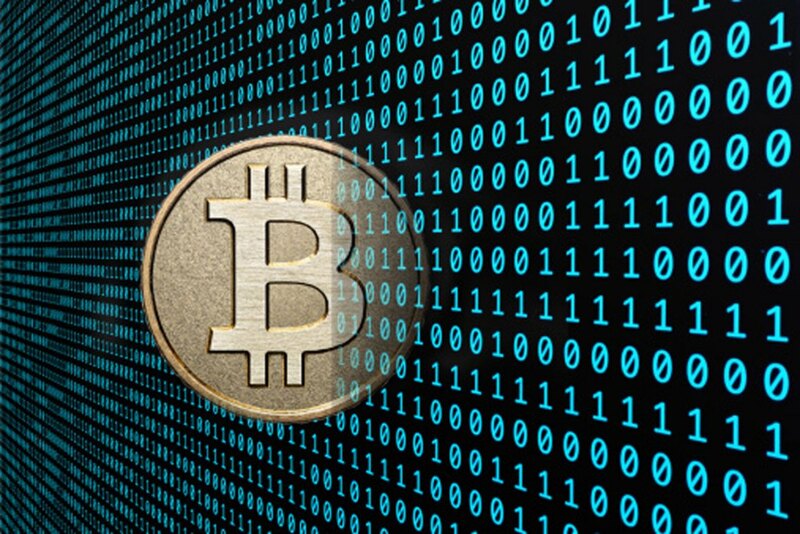 This decision is rooted in the HTP decree, which legitimises cryptocurrencies and tokens based on blockchain technology. The proposed legal regulations would allow HTP residents to provide crypto-exchange services, use cryptocurrencies in everyday life, and attract ICO financing. Potentially, this could also lead to the creation of crypto-centres for generating crypto-code. Given the increasing legal status of cryptocurrencies around the world, their legitimisation could allow Belarus to directly benefit from this trend . The decree also creates the legal basis for the development of unmanned vehicle technologies in Belarus. In May, Uber’s regional head and the CEO of Gett announced the opening of R&D centres in Minsk. Their motives for doing business in Belarus relate to existing information about upcoming reforms for HTP. Additionally, the decree makes provisions for a legal act which would even allow the circulation of 3rd-class unmanned vehicles on Belarusian roads. Hence, Belarus could become one of the first countries in the world to launch driverless cars. One country – two systems? The decree sets the ambitious goal of turning Belarus into a world centre for IT development and innovation. However, its critics insist that the decree would enforce a ‘one country, two systems’ formula, by which HTP would function according to capitalist laws while the rest of the country remains socialist. This would exclude non-IT spheres from the same privileges and reforms, creating an unfair and unbalanced economy. Furthermore, some criticise the fact that Belarusian society has no access to information on the development of the decree. Thus, the public cannot influence the decision-making process. Key IT figures participating in the drafting of the decree are struggling to attain privileges for themselves, let alone campaigning to amend the Civil Code for everyone. Thus, critics claim that the decree will foster the IT industry exclusively and question whether it will benefit the rest of the country. However, IT specialists respond that although the decree primarily targets HTP, it will also allow the expansion of IT activities to education, science, finance, and other fields. Moreover, it will create more well-paid jobs, thus increasing the size of the wealthy class of Belarusian programmers and preventing brain drain. More well-paid workers will consequently increase Belarus’s tax revenue. Additionally, the decree will foster improvement in IT education as HTP residents will be able to carry out educational activities, contributing to IT education at schools and universities. Nevertheless, the question remains of how an authoritarian state with no experience in regulating investment funds or venture organisations will ensure everything functions at an optimal level. Despite doubts, experts are expressing hope that once the decree is fully implemented, it might eventually de-bureaucratise the Belarusian economy and bring positive changes to the conservative state apparatus. Alena Mikhalkovich is an intern at the Ostrogorski Centre. She is currently pursuing a BA degree at New York University Abu Dhabi, specialising in Middle Eastern Studies.